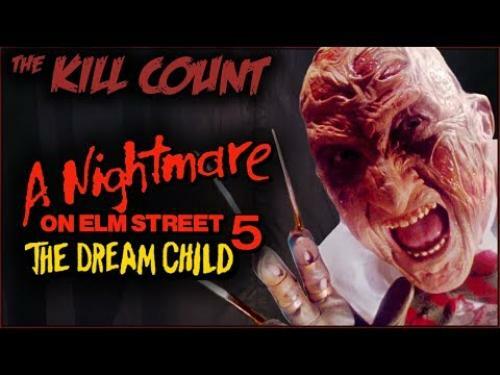 A Nightmare on Elm Street 5: The Dream Child (1989) was one of the Freddy Krueger movies I found myself watching very often. If you are looking for high numbers here, you will be shocked. Dead Meat details the movie scenes from the film and highlights the death scenes. Watching this film was fun, and the death scenes were creative so disregard the numbers. Official Synopsis: Alice, having survived the previous installment of the Nightmare series, finds the deadly dreams of Freddy Krueger starting once again. This time, the taunting murderer is striking through the sleeping mind of Alice's unborn child. His intention is to be "born again" into the real world. 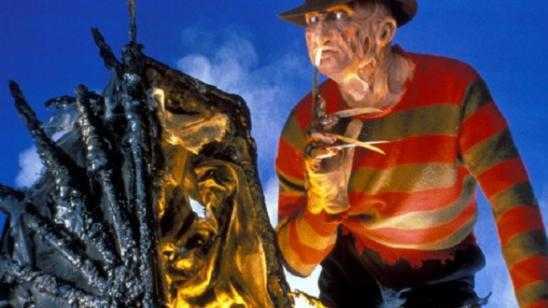 The only one who can stop Freddy is his dead mother, but can Alice free her spirit in time to save her own son?